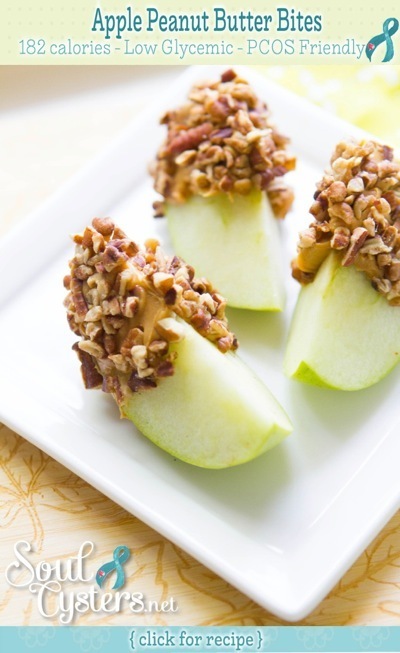 This simple recipe will remind you of the caramel apples you craved as a child. Upgraded with grown-up sensibilities, you get a good bite of protein in this snack, without all the sugar! 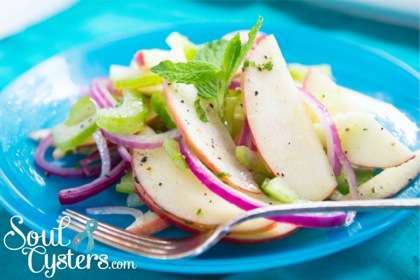 Cut apple into wedges. 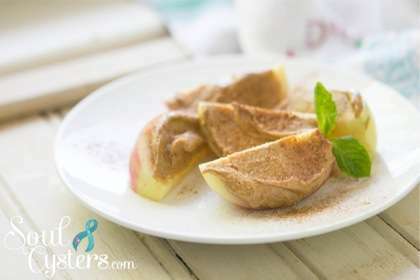 Spread a teaspoon of peanut butter on the end of each apple. Dip in chopped peanuts. Serve and enjoy!